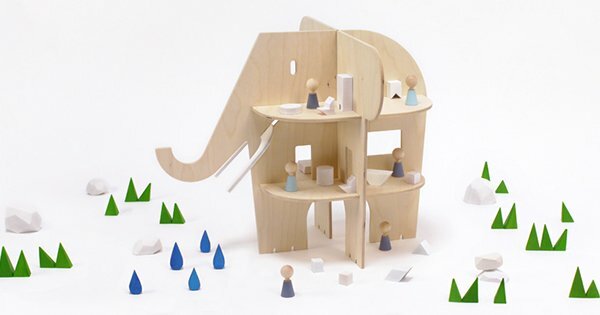 If you fancy the idea of a dollhouse with a difference, this beauty includes enchanting windows, doorways and multiple dwelling levels and if that’s not enough, it also includes a trunk and tusks. 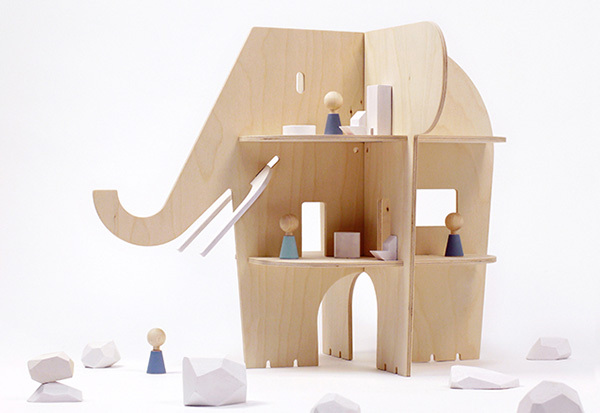 Rock and Pebble really can’t put a foot wrong when it comes to gorgeous toy design and who can resist an elephant shaped dollhouse? The Ele Villa stands at 40 centimetres tall, includes eight living areas and what is cutely described as under belly parking. 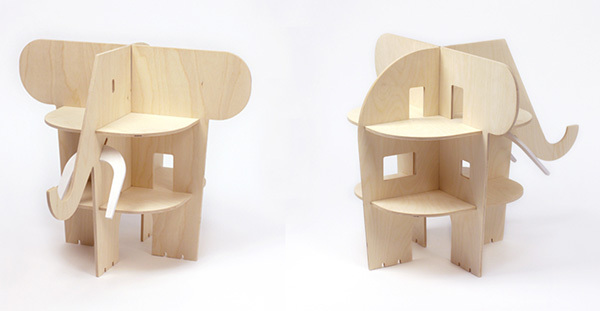 Ele Villa is accessible from every side making it a great find for group play. Ele Villa is made from birch plywood and is left untreated for you to enjoy in its natural state or paint and decorate as you see fit. Be wary, Ele Villa is flat packed for shipping so a smidgen of assembly is required but it fits together much like a jigsaw with pieces easily slotting in and no tools or glue required (phew!). Ele Villa is priced US$170 and can be shipped to Australia from Rock and Pebble.